Botox Cosmetic Injections are one of the simplest and most effective procedures to remove unwanted fine lines and wrinkles, resulting in skin that is rejuvenated and more youthful looking. It is the most popular cosmetic treatment worldwide. This procedure is completely safe and has been approved for cosmetic use in Canada since the early 2000’s. If you would like to rid yourself from “stress” lines on your face, this treatment is for you! Botox treatments are relatively short (approximately 10-15 minutes) with no down time, which is part of the reason they are so popular! During this procedure, the doctor will inject the medicine into the local muscles to alleviate the appearance of moderate to severe wrinkles. Results last up to 6 months, and even longer with repeated treatments. As one ages, the plump appearance of skin diminishes due to time, sun exposure, and other external factors. Dermal fillers are an incredible non-surgical approach to re-establish this plumpness for softer, more youthful looking skin. This treatment is perfect for scarring, wrinkles around the mouth, skin depressions, as well as for cheek and lip plumpness. 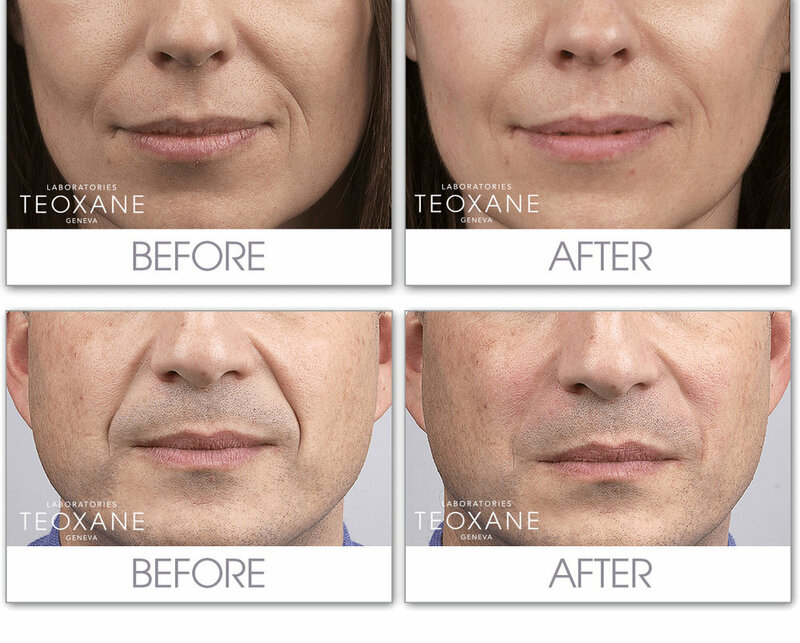 Teosyal is a brand new, industry-breaking filler used by top Doctors across the world. 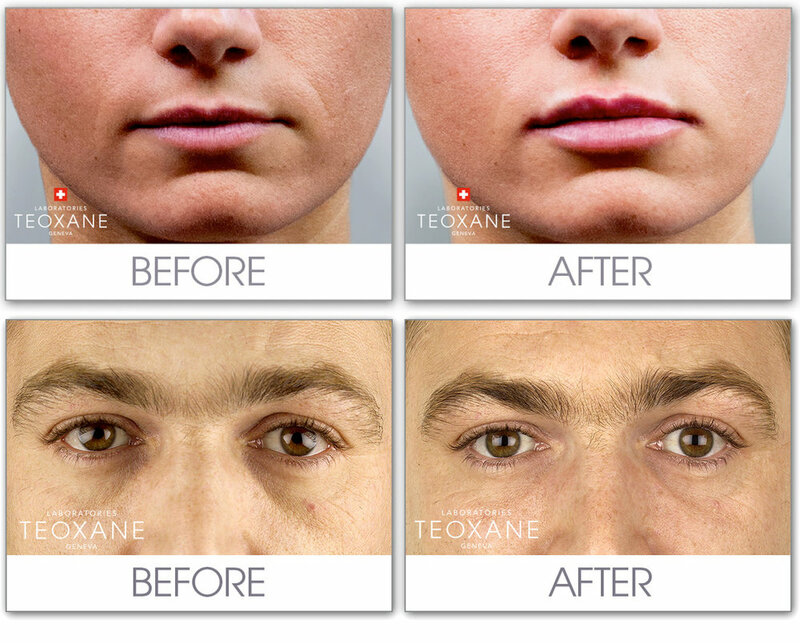 This filler has proved to improve the appearance of skin depressions and wrinkles compared to its industry counterparts Juvederm and Restylane. Dermal Filler treatments take approximately half an hour (depending on the area), and results typically last anywhere between 9-18 months. Call or Text us at 604 773 5394 for a Consultation.